The Equine Assisted Growth and Learning Association (EAGALA) Model is used at Hippolysis by fully certified professionals. It is a world renowned method well established in 50 countries, which started in the United States of America (USA), when it was successfully used in helping veterans return to civilian life. More than 600 programs are being performed by certified professionals around the world today, providing services to individuals, families, groups and businesses for a variety of issues. 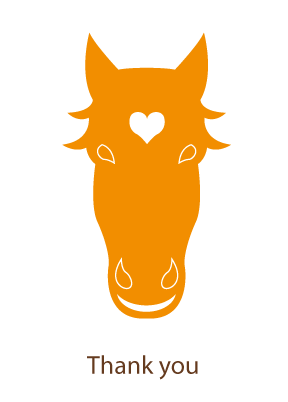 Horses have an exceptionally high emotional intelligence and thus can act as a mirror looking into ourselves. How it works? The sessions comprise of an individual, family or group performing activities with the horse or horses, from the ground, under the supervision of trained professionals. The process is completely experiential bypassing all the ‘conscious noise’ and affecting our core existence. Working with the horses allows us to overcome fears, uncover true strengths and reestablish trust in ourselves. Who does it work for? Everyone! The EAGALA method has been proven to be successful with children, adolescents, adults, families, and corporate groups. What does it help with? Stress, fear, phobias, depression, attention deficit, addiction, eating disorders, abuse, relationship and communication problems, leadership and goal realization. A certified mental health professional, a certified equine proffesional, and the horse(s) work with the individual or group in order to assist in the identification and resolution of existing issues. Due to the experiential nature of the method it has been proved to be effective in a significantly shorter time period than conventional methods. Research on the therapeutic effects of horses on humans has been ongoing since 1970 showing a wide range of positive therapeutic effects. Horses have proven to be a powerful and wise ally on the road to self knowing, growth and development. They also help in providing therapy for wounds and scars left by disease and life. Horses understand the emotional spectrum of humans even when they lack the ability to see it themselves. All of this is done with the outmost confidentiallity as horses never betray a secret.